If you have recently started working with a Realtor we can still help both of you to sell your home. We work with Realtors to sell homes they list as well as to find suitable buyers for your home. Many Realtors are not aware of our services, which complement their own. If you are interested in finding out more, please refer your Realtor to the following information and video link on this page. 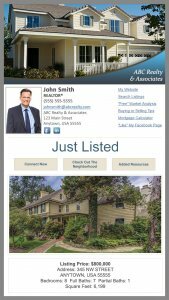 Realtors, Sell Properties Fast Without Buyers…We have them all. When you first started in real estate, chances are some “expert” told you: “It’s all about the numbers.” Just keep adding to the number of listings in your book and a certain number of them will inevitably be sold. For whatever reason, lots of houses don’t sell. So if you’ve followed the “expert” advice and done tons of work to “keep your numbers up,” you’ve spent an awful lot of your valuable time on properties that will never move. And in real estate, just like in every business, time is money, and you can’t afford to waste either one. That’s where we come in. We want to buy your “un-sellable” houses! We specialize in buying the “un-buyable” and selling the “un-sellable” using creative ways of structuring Real Estate transactions that can solve any situation or problem that your client may face…because we know how to make them sell. We’re professionals, like you. Real estate is not a hobby or a sideline. We’re involved in far more successful closings than your typical real estate agent, and we’re usually acting as the Buyer. The bottom line: we want to work with YOU to move houses and properties that are stalled. On average, we buy 4-6 houses each month. We are associated with National Buyers Team as well as different funders who can move quickly. When you work with us, you’ll never need to wait for loan approval. In fact, we will make sure you get your full commission. You’re a good agent, but sometimes even the best agent can’t make a sale. When that happens, we’ve got a better solution. It’s an easy equation: Your houses plus our creative strategies equals profits for everyone -Homeowner, Buyer, yourself and us. We create only WIN/WIN for all parties.” We pay Top Dollar for nice homes that need to be moved. We’ll put success on your radar screen and cash in your pocket. All it takes is a phone call. We’re not licensed real estate agents and we’re not affiliated with any real estate firm, but we know the business inside and out. So unlike a typical buyer, we won’t ask you for any of the support or “hand-holding” that can be so time-consuming when working with non-professionals. Just call us with the lead, then sit back and wait for your check. When an owner of a house doesn’t have enough equity to pay you a commission…call us. Often we can negotiate a purchase and if we do, we’ll pay you a referral fee. 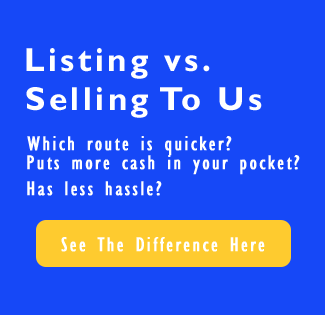 When you find a house that’s a tough sell because of its condition or location, or a house that won’t sell at a price that’s worth your time and effort…call us. If we buy it, you’ll be paid a referral fee and possibly your full commission. When owners are behind in payments, when there’s a lien, when a property is in foreclosure…call us. You’ll be amazed by the results. Everyone loves something for free and when you work with us it’s almost like getting free money! When you refer us to a house that we purchase, we do the work and you get the money! Just one phone call…that’s all it takes. So why sit on a house that’s not moving? Why not get a return on the time you’ve invested, rather than ending up with zero? When you work with us, you’ll be rewarded for your efforts. After we buy houses, we sell ‘em! And that’s where you come in…again. Often our profit is to-the-bone, so we don’t use a real estate agent. But when an affordable purchase price makes it possible, we DO use agents. Develop a working relationship with us now and that agent will be you. We’d like to get to know you. Please call our offices at 757-550-5474 and introduce yourself. We can discuss in greater detail ways in which we can partner for mutual success. It will be a pleasure to hear from you. P.S. Have one of those “un-sellable” white elephants in your book right now? Call me now at 757-550-5474 so we can get moving IMMEDIATELY.